African Origins: Mixed, Original group of 80 plus “Guinea” Africans from what once was the rice growing coastal area of Ghana, there were several Ehve/Akan names among the population…the workforce would grow to over 200 men, women and children, some who arrived in the original group and others who came from across the state, from Virginia, Maryland and other parts of the South. While some established scholars of slavery have challenged the “rice narrative” of Judith Carney, Edda Fields-Black, Daniel C. Littlefield and Peter H. Wood, which agrees that rice cultivation was an important African cultural legacy in the history of American agriculture and capitalism, it is clear at Somerset that indeed those first Africans came from a part of the West African coast that was known for rice growing. In my research for the foundational chapter in the forthcoming book on Rice and Beans through Berg Publishing, edited by Richard Wilk, I discuss how some rice growing regions emerged in response to the slave trade as brought out by Judith Carney. Southern Ghana was one of these places and rice became a local staple as well as a signature crop to sell to slave traders and ship merchants for the trans-Atlantic journey. The classic rice areas of West Africa —along the Niger, the Casamance, the Senegal and Gambia Rivers; what is now Guinea and Guinea-Bissau, would also be joined by parts of Kongo-Angola that embraced rice cultivation around the time of the slave trade. 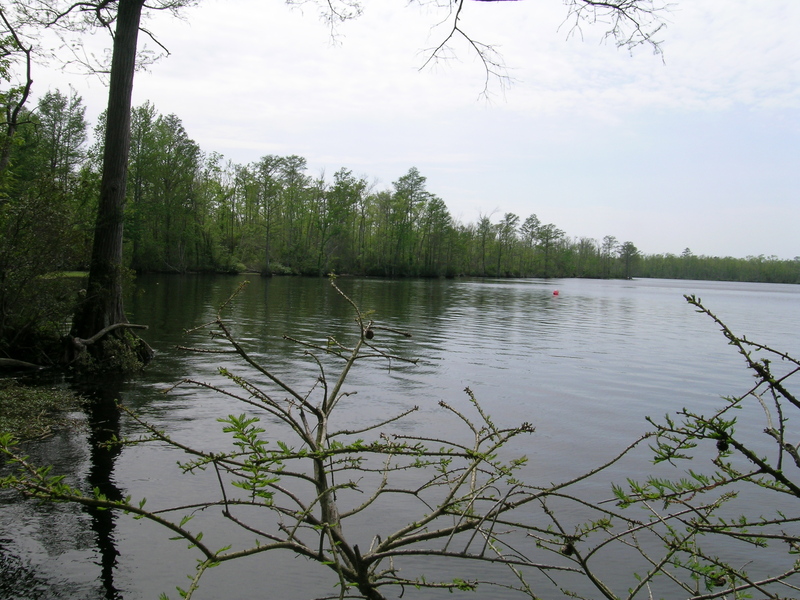 The bald cypress swamp surrounding Lake Phelps…where many were drowned, bitten by snakes or saw clouds of mosquitoes that gave them malaria. And just in case you wondered, this is the northernmost limit of successful alligator breeding…..
Main crops: Originally a rice plantation. Wheat, corn/maize, rice, cotton, flax, sweet potatoes, hay, livestock, etc. 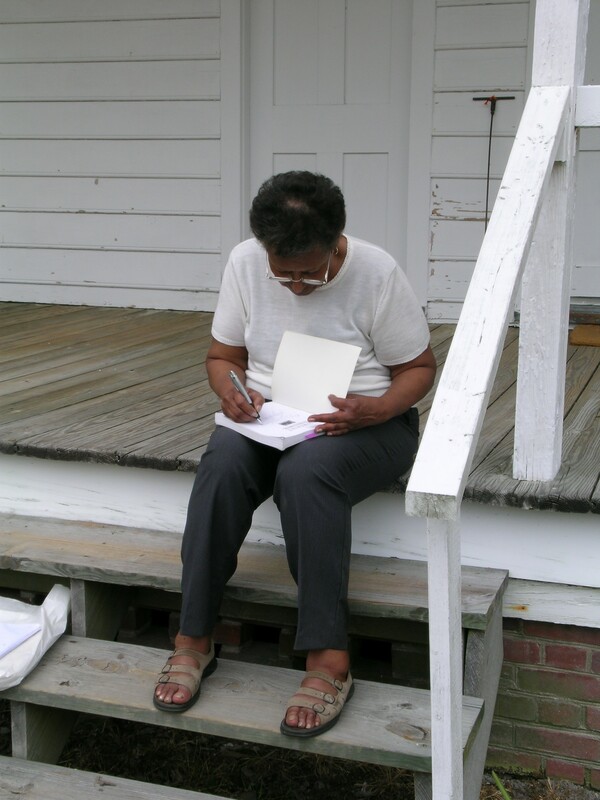 Dorthothy Spruill Redford, former director of Somerset signing my copy of her book Somerset Homecoming, tracing the history of the site and her genealogical search for the families that worked here at one of the largest plantations in North Carolina, and across the South. Mrs. Redford held several family reunions gathering the disparate families of Somerset together 200 years after the plantation’s founding in the late 1980’s, with Alex Haley has a surprise guest. Members of the Collins family attended as well. Occasionally, there would be a large building that doubled as a kitchen and laundry, sharing the same double chimney. Laundry would be performed once or twice a week or as needed. The task of gathering water, having firewood on hand, scrubbing clothes, making and using lye soap and administering bluing, hanging them up to dry then ironing and perfuming the clothes fell to a small army of enslaved women and their children. 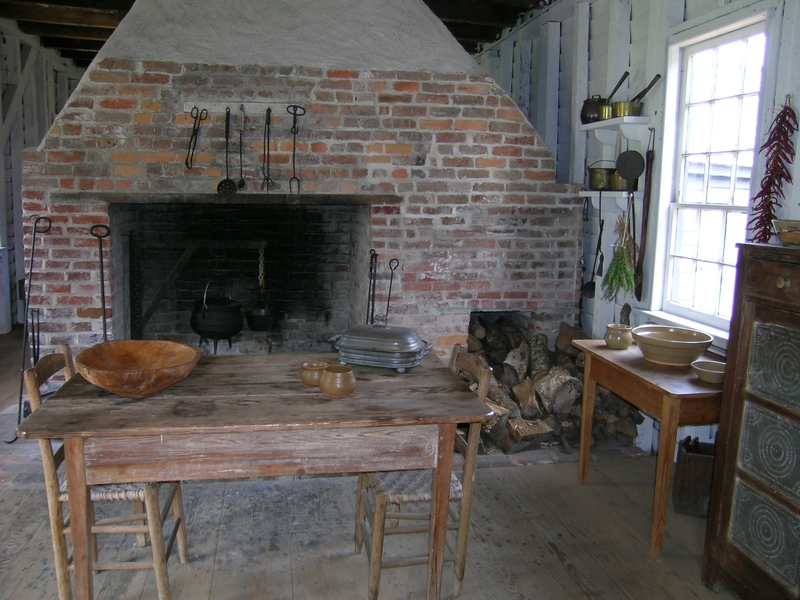 This restored antebellum North Carolina plantation kitchen shows some of the features that enslaved cooks contended with…heavy pots, large, hot hearths, mice, smoky air, searing summers, and making thousands of sumptuous meals that they were usually not allowed to taste. The wealthy Collins family would have entertained frequently and often, getting vegetables from the plantation garden, enslaved people’s truck patches, fruit from their orchards, fish from the lake and canals, game from the air and woods, and livestock from their pastures. 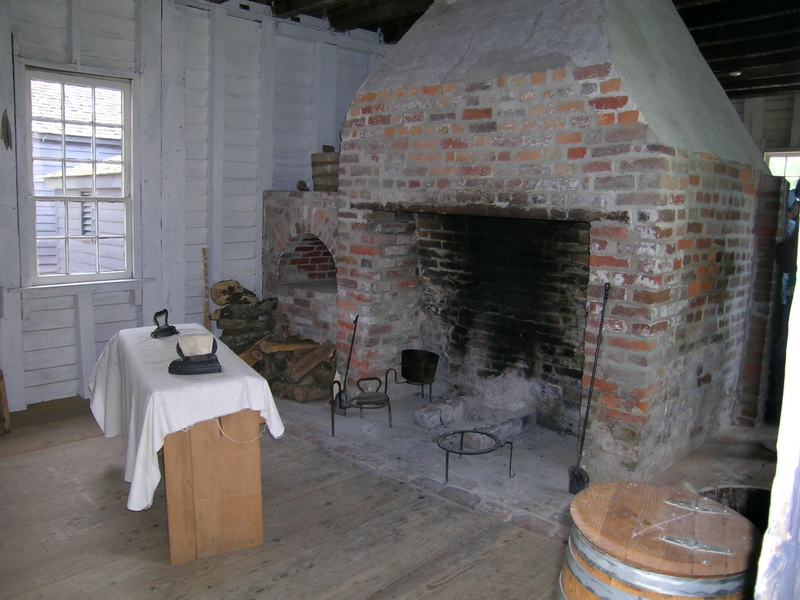 The job of a cook was one of the most arduous jobs on a Southern plantation–often requiring the assistance of a spouse and children. 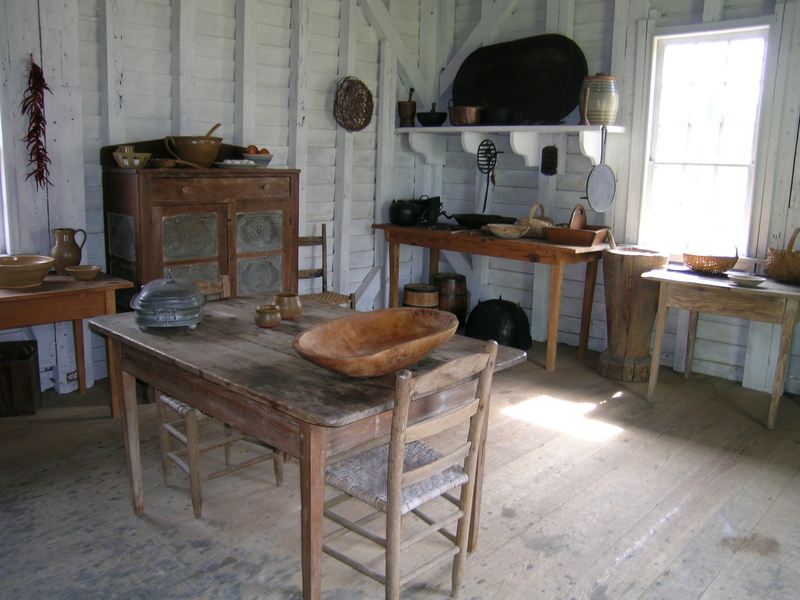 During the plantation’s heydey in the 1850’s, the rituals of cleaning, making ready the daily bread, preparing two or three meals a day, washing dishes, sweeping and mopping the brick and cypress wood floor would have seemed interminable. See those red peppers? A year after their arrival, Collins had to order a thousand red pepper pods for his “people.” Hmmm hot sauce anyone? To be sure they saved seeds and grew red peppers of their own! I learned under an elder of Ghana for a year (here in the U.S.) and it was made clear to me that onions and shallots, hot peppers, tomatoes, leafy greens, okra, beans and black eyed peas are important parts of the diet. 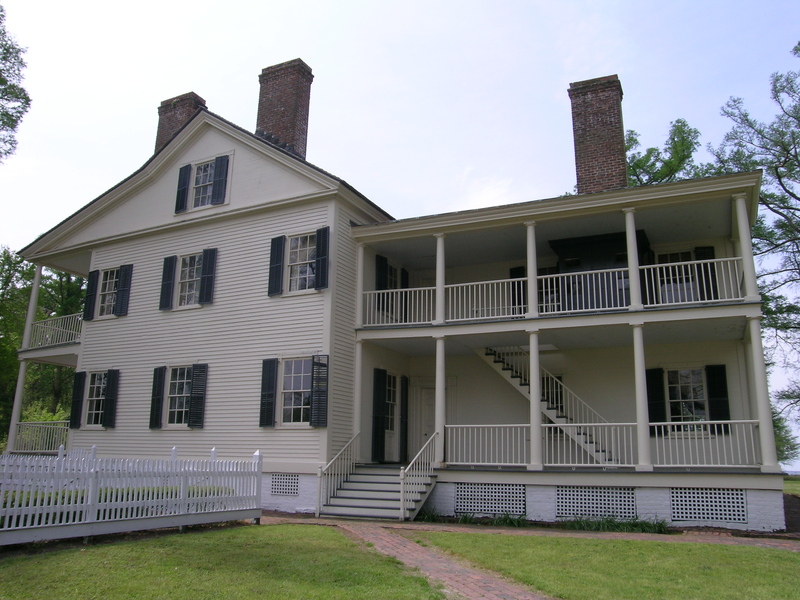 Like other upper South plantations, in addition to having rice, corn, sweet potatoes, white potatoes, cowpeas, red peppers and other staples at their side, the people of Somerset Place–based on some of the records and local cuisine memories–turnip greens, onions, cabbage, beans, turnips and other produce would be raised. Fish–including herring, catfish, eel, perch and sunfish, turtles, chicken, pork, rabbit, squirel, opossum, raccoon, deer and other game would have been included whenever possible. Wild fruit, nuts, greens, and the like supplemented that diet. I am on the trail of Somerset’s foodways so I will re-post when I know more. My feelings: This is an incredibly moving site and thanks to Dot Redford it has become one of better interpreted slavery sites in this country. You can see the canals with turtles and crawfish crawling out of them and schools of fish. You can almost hear the voices of our ancestors singing sacred songs, moaning in grief, laughing, speaking in fading African tongues, saying “I love you,” in the swept yards and barns and kitchens and re-created cabins. It is really OUT THERE in coastal Carolina but it is totally worth it to visit the site and see where we came from.